Light switches are essential for any home and dimmers are a wonderful convenience that can also add ambiance to your living space. While switches are relatively easy to install, it is still good practice to have a licensed and trained electrician to do the installation. Electricians are specifically trained to notice any electrical variances in your home that you might overlook. They will ensure that the switch’s connection is solid and working at an optimum level. Dimmers help give homeowners a level of light that is “just right”. Dimmers, which are also relatively easy switches to install, should always be installed by a professional. 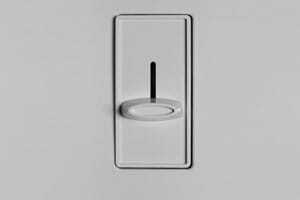 If you just remodeled and want to change the layout of your light switches, A.D.I. can help you make the transition smoothly and quickly. Avoid the stress and risk of a possible electrocution, call A.D.I. today.